EDGE E3 SSDs are TAA compliant, built with premium controllers, and backed by a superior five-year warranty. 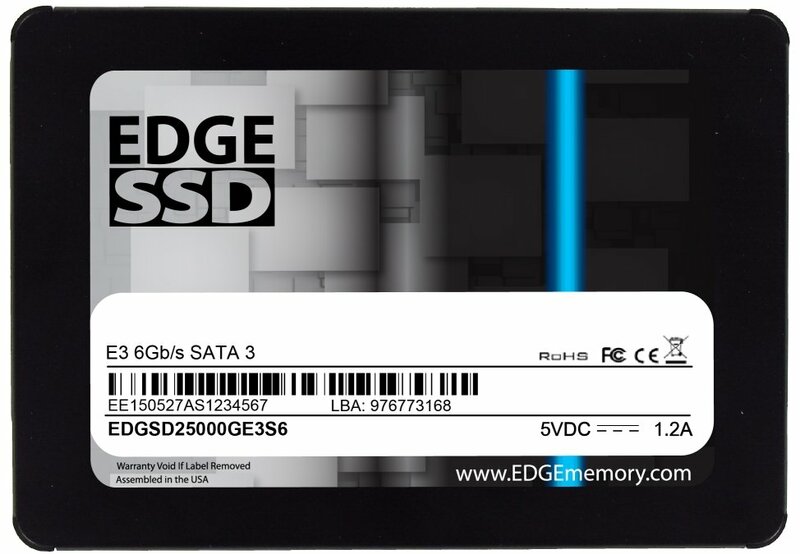 Balancing performance and reliability, the EDGE E3 SSD is a storage upgrade at an exceptional value. Featuring the Silicon Motion SM2246EN controller, E3 SSDs are loaded with enhancements to promote a dependable computing environment. TRIM, Wear Leveling, and ECC functions are included and optimize data processing efficiency. S.M.A.R.T. reporting and a built-in temperature sensor assist with monitoring drive health. Advanced features such as Early Bad Block retirement and DataRefresh add an additional layer of protection to keep the E3 running at optimum performance. Server and client ecosystems alike will benefit from the E3's excellent transfer speeds. External DRAM is included and further enhances read/write and IOPS ratings. Improved system startup, data access, application loading, and backup times are typically realized when upgrading systems from a traditional spinning disk hard drive to an E3 SSD. The E3 is a low-power storage solution, providing improved notebook battery life and lower cooling costs in datacenters compared to hard drives. 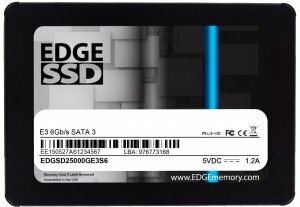 ^Complete warranty details can be found at www.edgememory.com.